Got a nice suprise when I pulled my SD cards this week . Most of the pics that I get of one this size is late Nov. and around 2 in the morning . 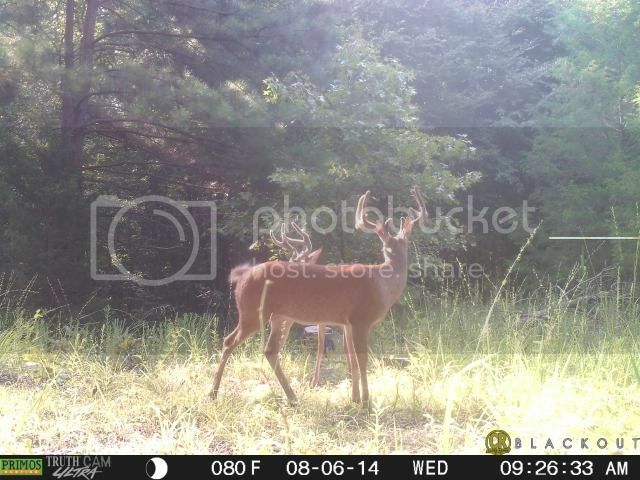 This is my 3rd year using cameras and this is the best buck in velvet that I have pics of . I hope that my youngest gets a shot at him . I want Bullie to score my squirrel !!! I hope y'all bag that big rascal. Nice buck ..best of luck in bagging him ! Thanks guys , when he saw the pics he was wishing that it was opening day . When we get him I'll post pics .